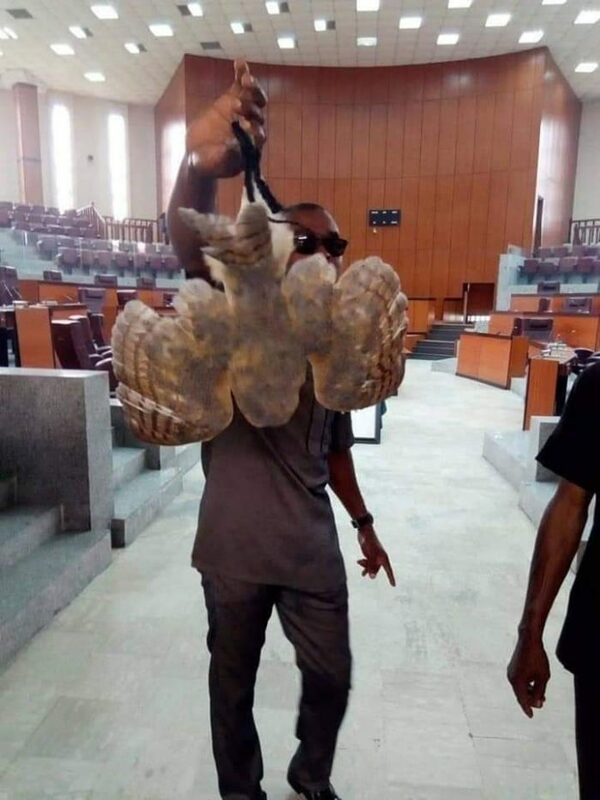 The Akwa Ibom House of Assembly saga has taken another dramatic dimension. 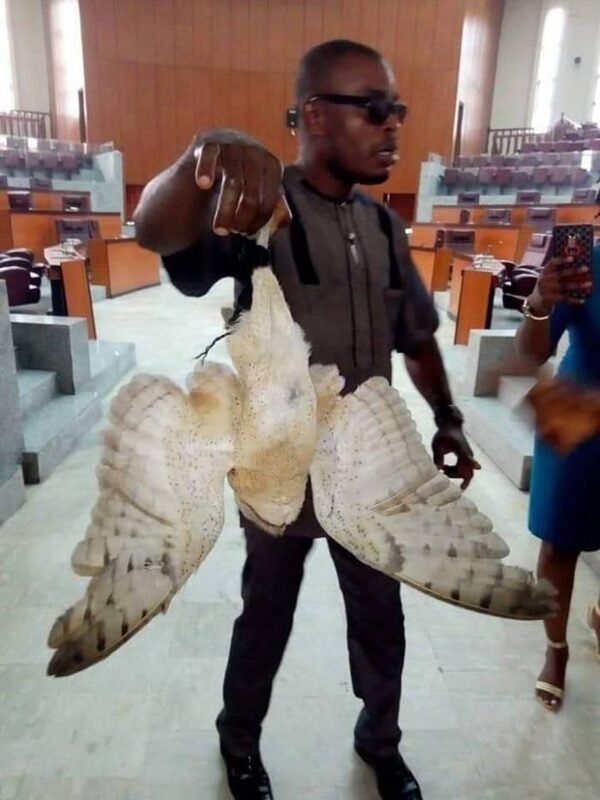 Staff of the Akwa Ibom State House of Assembly were this morning greeted by this owl inside the hallowed chambers of the house. It is unclear how the bird flew in there.